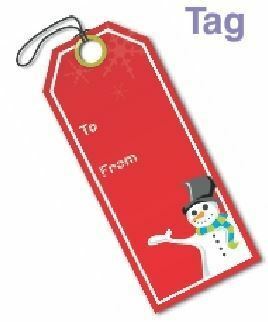 Fostered with massive clientele base and understanding in this arena, we have come up with a wide gamut of Printed Tag. This variety of product is designed and made-up by making utilization of superior-class factory inputs, which are been acquired from our specialized sellers of the industry. In order to present a flaw-free collection to our clients, these are reviewed thoroughly on multiple production stages. Conceptualized in 2004 San Prints was formed with a very meager capital but with an unflinching Determination and Will to Succeed. Today the organization has a complete in house designing unit, A Digital Printing Press, 4 color high speed offset machine, 2 color offset machine, Lamination & Punching machine. Self sufficient Fabrication department & a complete Binding Unit. Well trained and Skilled team of qualified employees working to give best of Quality and Service. Specializing in Printing of Corporate Stationery, Catalogs, Danglers, LD banners, Chit Pads, Brochures, Posters, Leaflets, Diaries, Calendars, Multi color stickers, All kinds of Promotional & Packaging materials.